Wayne, IL – June 13, 2015 – Liz Atkins of Benchmark Stables in Hampshire, IL, was one of the riders chosen for George H. Morris Gladstone Program training session June 15-20th at Annali-Brookwood Farm. Coming off of a solid two weeks of showing at Showplace Productions’ Spring Spectacular, Atkins is ready for the challenge. Atkins owns, manages and trains at her Benchmark Stables. As a junior rider, she rode with many of the top trainers and won multiple championships with her horses. 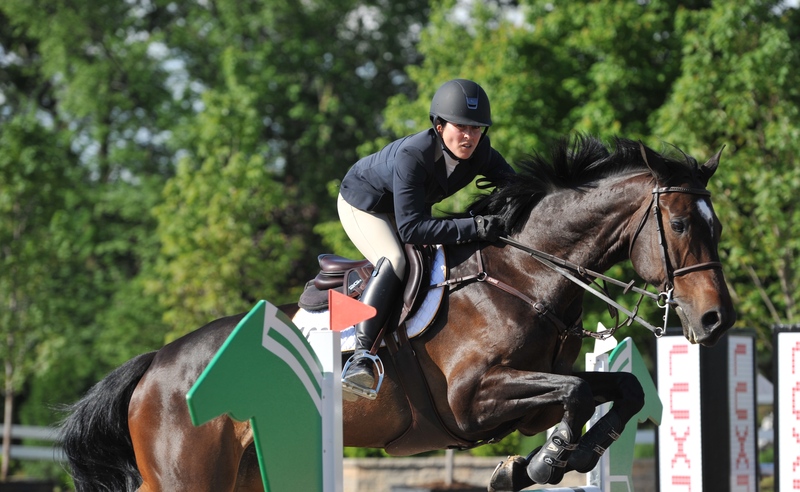 She attended Indiana University in Bloomington, IN and was a member of the IU Equestrian Team. Atkins graduated in 2007 with a Management degree and rode competitively as an amateur, moving up to the Grand Prix level. 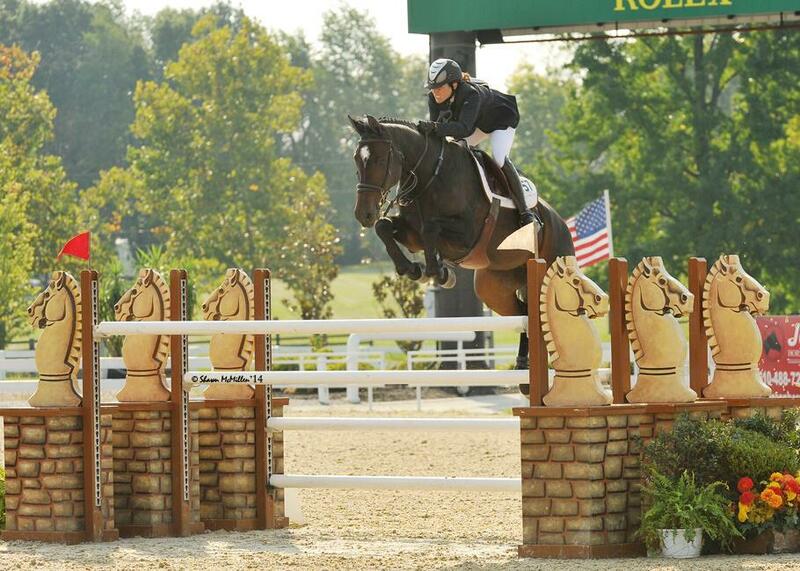 She turned professional in 2014 and was named Top Young Professional Grand Prix Rider by USHJA. During week 1 at Spring Spectacular, Atkins won a 7-year-old class on Rodeo VDL and also placed third on him in the Championship class. She also was consistently in the ribbons in the 1.30 division. Week II, Atkins won a 1.30m class with her mount, Carletta, and was in the top 3 with her other rides, Undine and Esconial throughout the division. Liz’s training program is designed around developing and challenging both horse and rider to achieve success at any level. She especially likes to bring along young, green horses to the upper levels of show jumping. Liz Atkins and Undine in the $35,000 Prix de Lexington. Photo Shawn McMillen. “I've got a great group of horses right now and a lovely group of clients, so I'm very excited to see what the rest of the year will bring!” stated Atkins.